Swimming pools are something that we don’t expect to be fancy or unusual. In fact, as long as they are well maintained, clean and affordable, most people are perfectly happy as swimming is generally an exercise activity that doesn’t require any frills. That all changes on holiday, though, when people are not using swimming pools as a way to keep fit but instead want to spend their time in the pool cooling down from the sun and enjoying themselves. In these cases, it becomes more important for a facility to not only be functioning but to also look good and be distinctive. To that end, hotels, resorts and tourist destinations around the world have designed ever more unusual and impressive pools in order to astound their guests and get people to choose them over a rival. This has culminated in some frankly absurd yet amazing swimming pools such as the ones featured here. 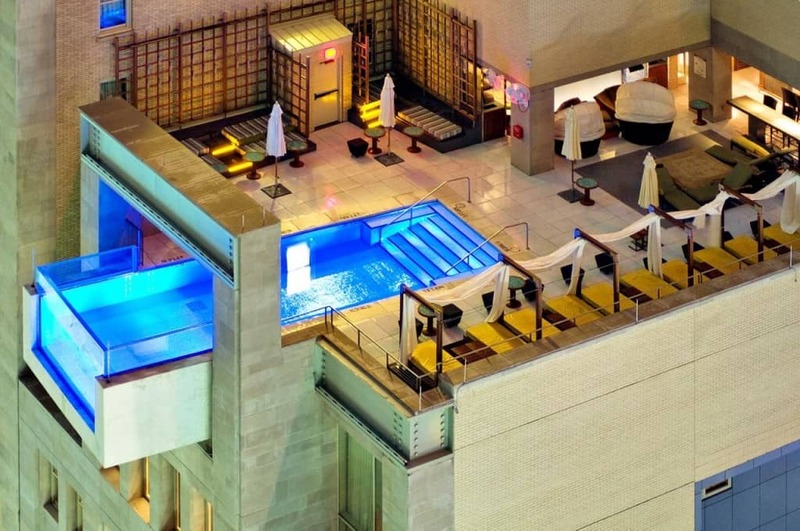 Sat in the middle of Dallas, the Joule Hotel has become a well-known local feature thanks to its rather unusual swimming pool that extends out away from the building and overlooks the walkway below. The glass panels at the edge provides guests at the five star hotel the chance to see just how far up the 10th floor really is. Almost completely naturally made, this crater is located in Midway, Utah and has been slowly eroded for thousands of years. The water is pleasantly warm and a local hotel has taken advantage of the crater and now uses it as their swimming pool. 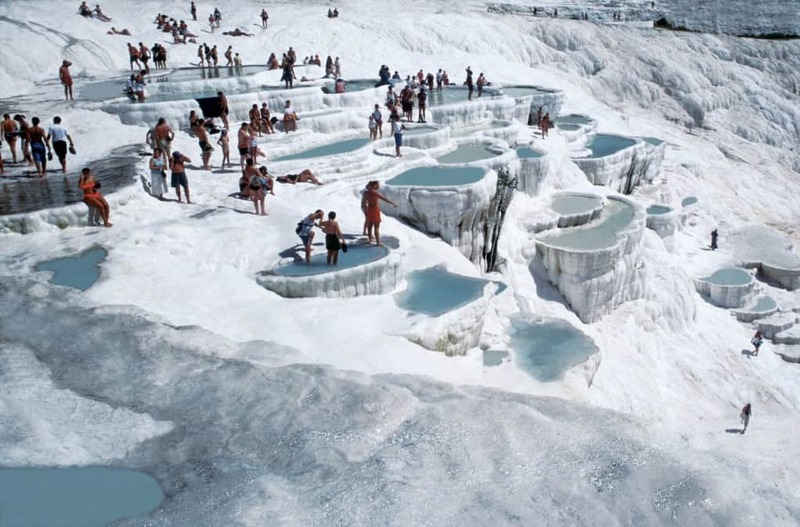 A series of naturally occurring bodies of water, the Pamukkale pools are located in Denizli Province in Turkey. Created from hot springs that force warm water into the various crevices and terraces, they have become a popular tourist attraction in recent times. The ice white color of the travertine limestone also contrasts with the surrounding area, providing a spectacular look. This unique swimming pool is part of The Sarojin Hotel, a five star luxury resort in Thailand that has been open since 2005. 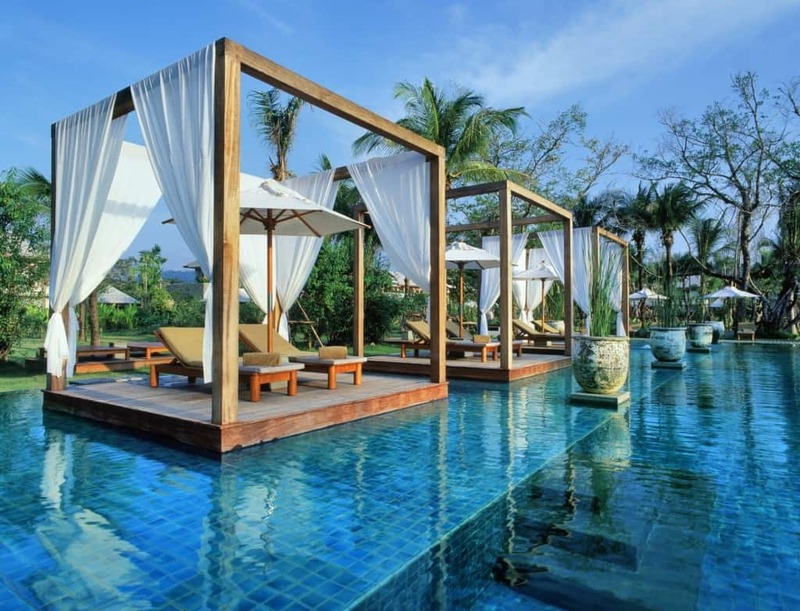 It specializes in giving its guests the most relaxing stay possible and this fancy pool will certainly help with that. 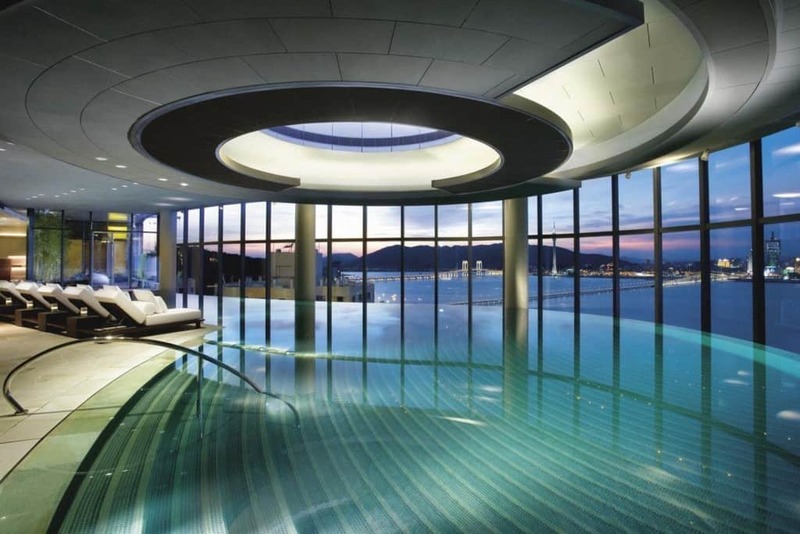 Built on Tapia Island, the Crown Macau hotel features this stunning indoor swimming pool that melts seamlessly in with the surrounding landscape, providing the perfect way to take in the view while relaxing. 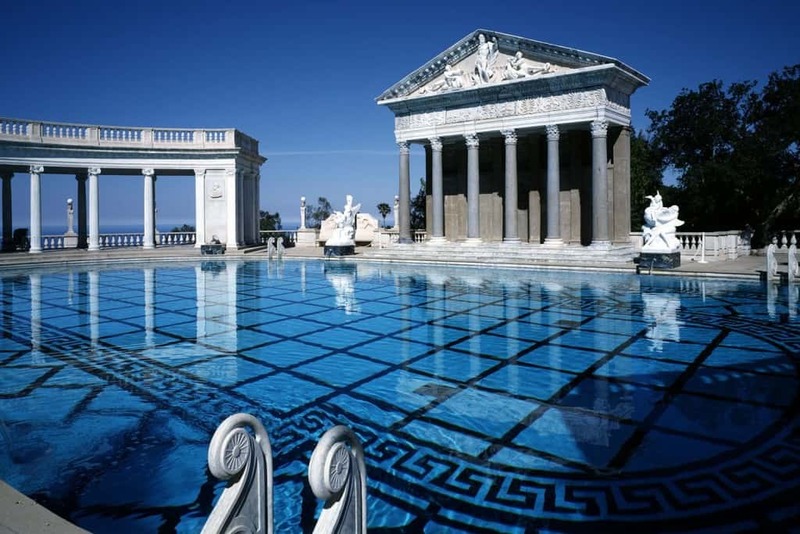 Hearst Castle is an important historical monument and landmark in California and is now part of the California State Park System, meaning that is has special protections. It is also home to a truly spectacular swimming pool that is surrounded by impressive architecture and a lush landscape. Part of the Anantara Golden Triangle Elephant Camp & Resort, this swimming pool sits on a ridge that overlooks Thailand, Myanmar and Laos and the sprawling hills that make up their borders. 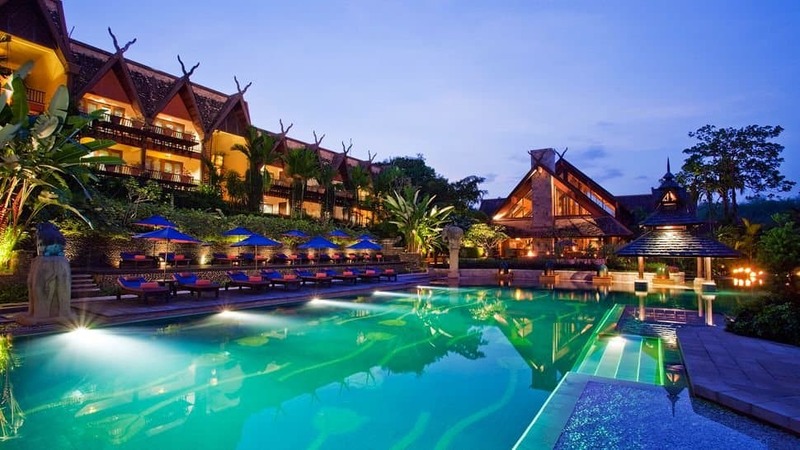 With the view full of bright vegetation and stunning landscapes as well as the beautiful design of the pool, it is little wonder that the resort is so popular with tourists. 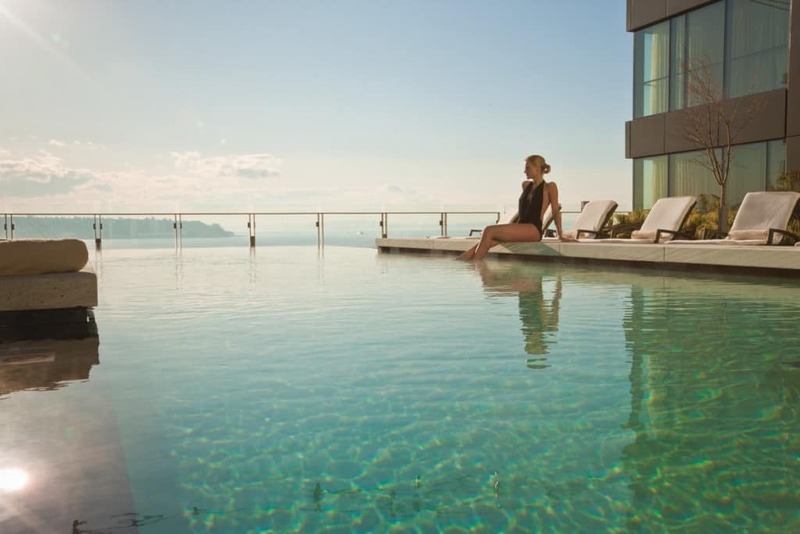 Four Seasons hotels have become notorious for their luxurious offerings and the one in Seattle that overlooks Elliot Bay and the Olympic Mountains is no different. One of its standout features is the swimming pool that has its own fireside and spacious hot tub. 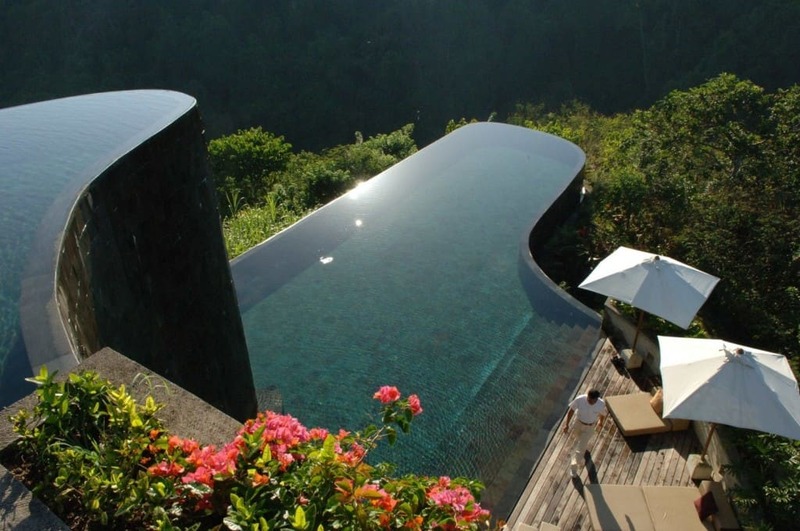 Widely seen as one of the most imaginative and best swimming pools in the world, the facility as the Ubud Hanging Gardens is a specially designed infinity pool that incorporates a split-level structure to help give the impression that guests are swimming up the surrounding mountains. The design also uses volcanic ash and a curved outline to better fit in with the landscape. 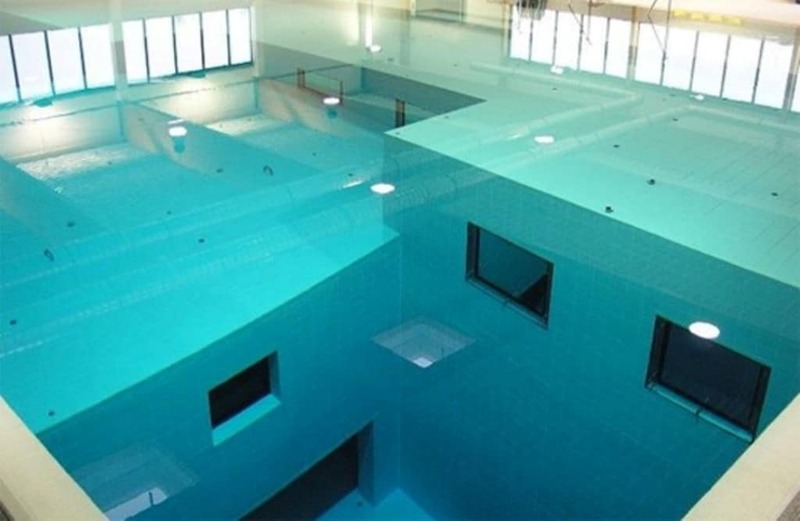 Nemo 33 is an indoor swimming pool in Uccle, Belgium that held the record of being the deepest such facility in the world before it was broken by another in Italy. 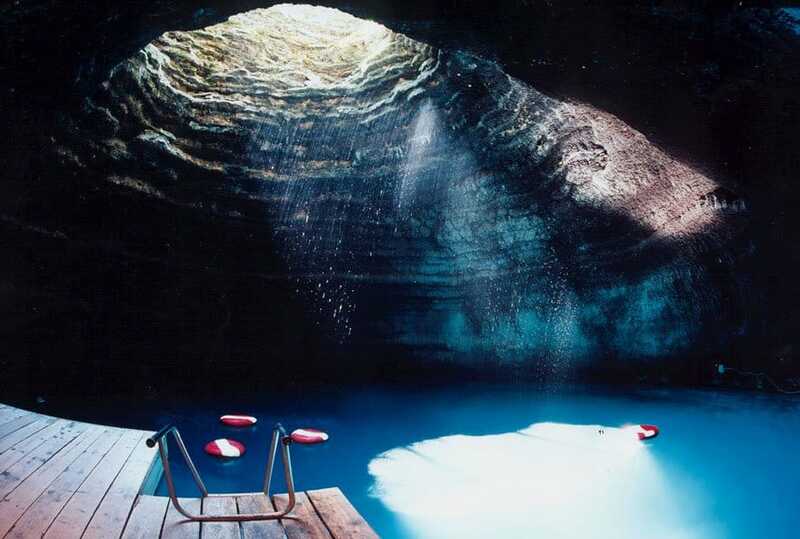 At its deepest part, the depth measures more than 100 feet and the entire pool contains 2.5 million liters of water. The pool was created to help with scuba diving instruction and to that end it also has several underwater caves. While the spectacular sights and beautifully sculpted design make this an outstanding pool on their own, they don’t come close to explaining just how unique it is. 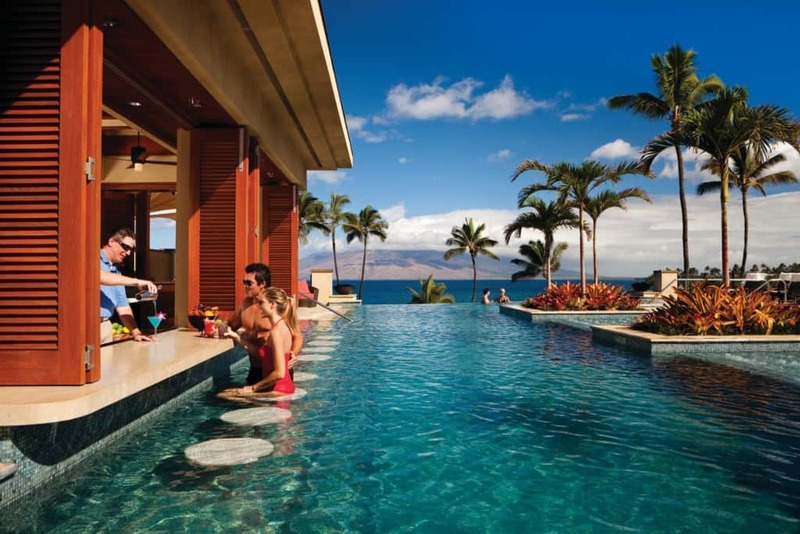 This Four Seasons Hotel in Maui has a full bar to serve drinks, underwater music and flat screen TVs built into it to make it so that you almost never have to leave the pool. While not exactly a swimming pool, it is used by tourists as one and so makes it onto this list. 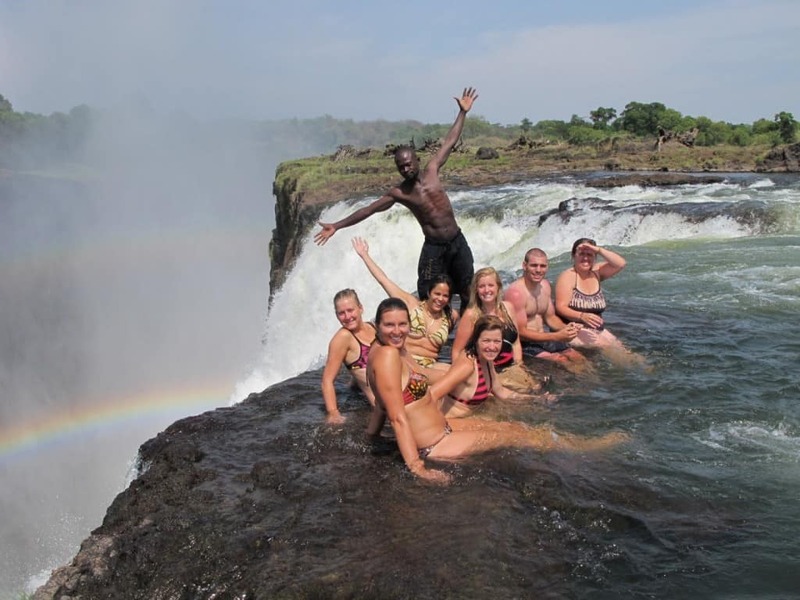 It is part of Victoria Falls, known locally as Mosi-oa-Tunya, the largest waterfall in the world and acts as a small rock pool for the winter months when the water level drops and the current is not as high. This allows thrill seekers the chance to swim above a sheer drop of more than 350 feet. The Marina Bay Sands is a resort in Singapore that combines, restaurants, bars, hotels and a large casino in one huge complex. 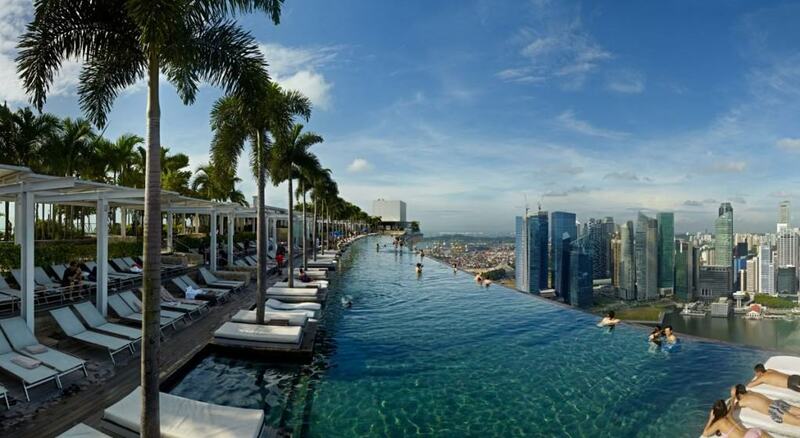 It also has one of the most impressive infinity edge pools in the world, looking as if the pool simply runs over the edge of the mighty resort and onto the city below. The view from the pool is all the more impressive at night when the skyline is lit up by the other buildings. Although there are two pools at the Golden Nugget in Las Vegas, it is the first and largest that is the most distinctive. 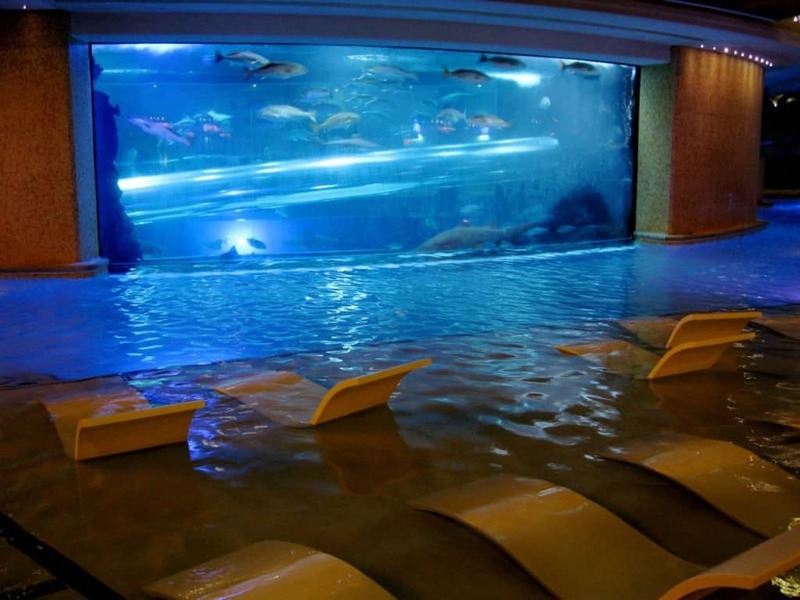 As well as the usual facilities you would expect at a swimming pool, the unique design also incorporates a large fish tank at its center that includes over 300 animals such as sharks and rays. 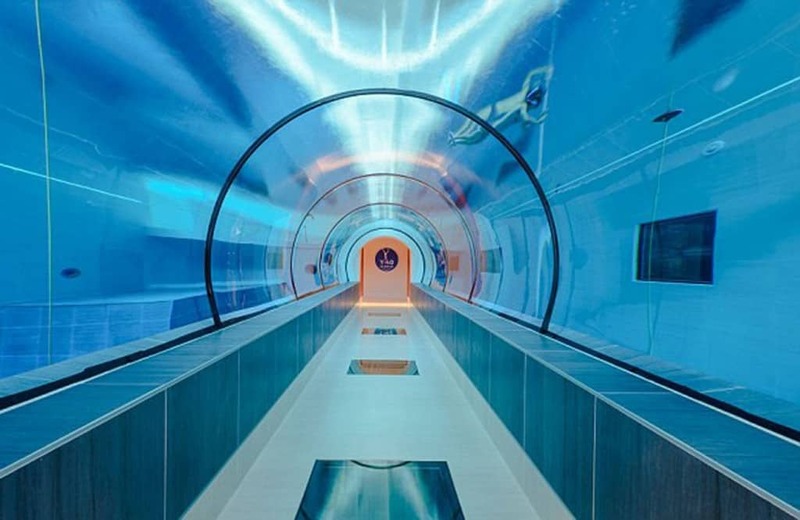 A large enclosed slide also carves through the tanks, giving the impression that you are actually inside with the fish. Part of the Hotel Terme Millepini, a four star resort in Padua, Italy, the Y-40 pool is the deepest indoor swimming facility in the world. Not only can guests swim and scuba dive in it but they can also view attractions or shows put on by performers and explore several underwater caves scattered throughout the 137-foot pool. Lastly, a large transparent tunnel travels under the pool giving guests the chance to get a perfect view of any underwater shows. 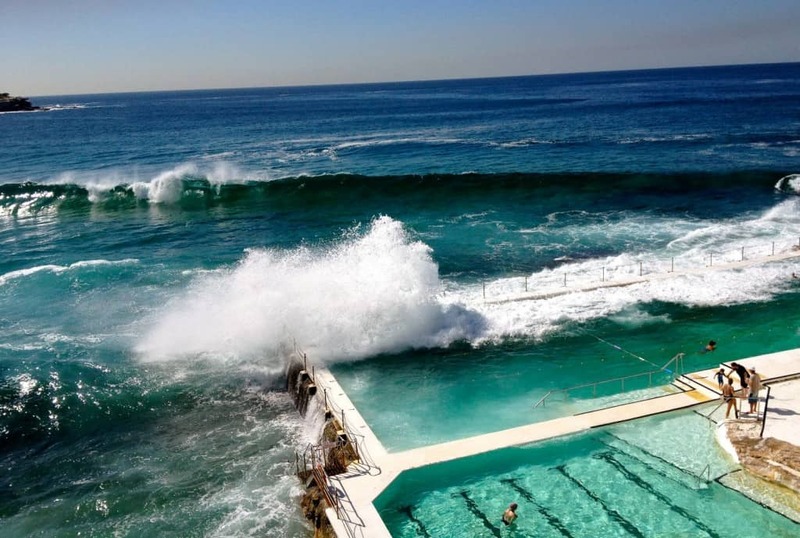 The Bondi Icebergs Club is an exclusive membership of a prestigious facility in Sydney, Australia. The biggest attraction is the fabulous swimming pool that extends into the ocean. However, it is famous for other reasons as in order to get a full membership, prospective members have to swim in icy cold conditions as the ocean waves spill into the pool. 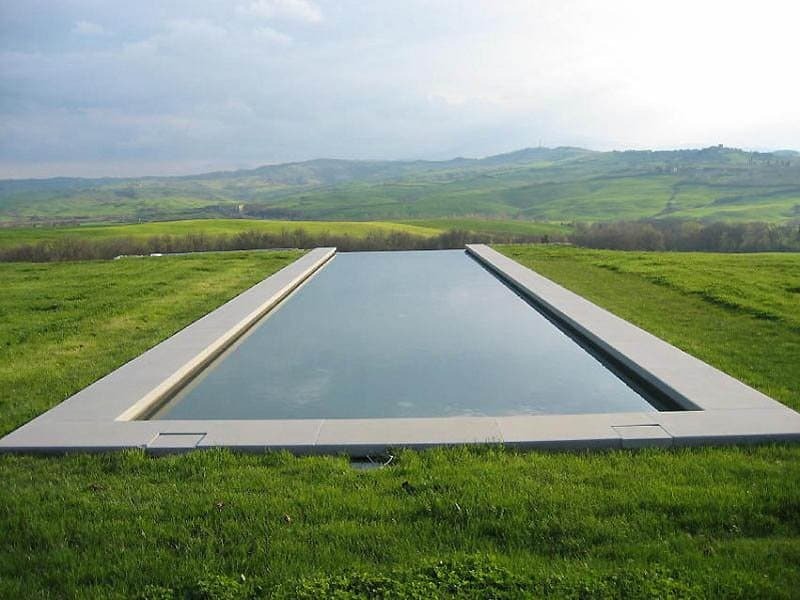 This private swimming pool is located in the green countryside of Tuscany, Italy. The outdoor facility is surrounded by miles of lush green fields, providing an idyllic view of the famous Italian city, although it can get quite cold in the winter. 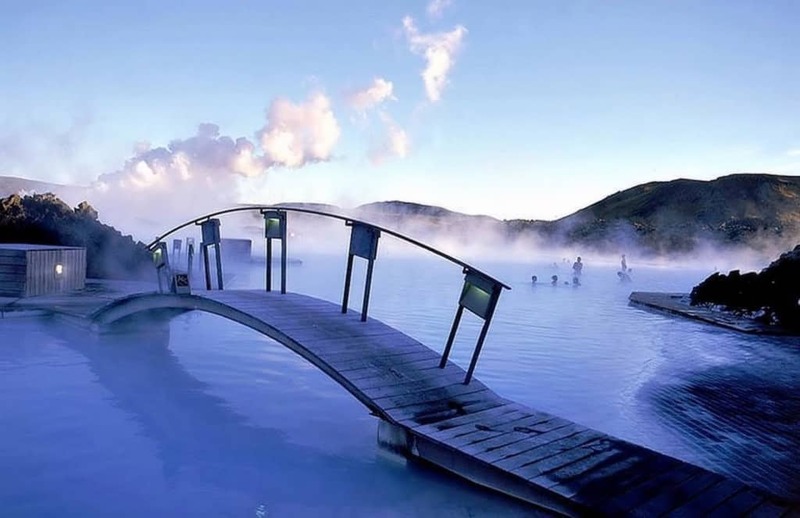 The Blue Lagoon is a geothermal spa in Iceland that has become one of the country’s most popular tourist destinations. Located in Grindavik, it sits on a lava field that naturally heats the water and fills it with minerals that can help with certain skin conditions. It is reputed for its relaxation and calming features. 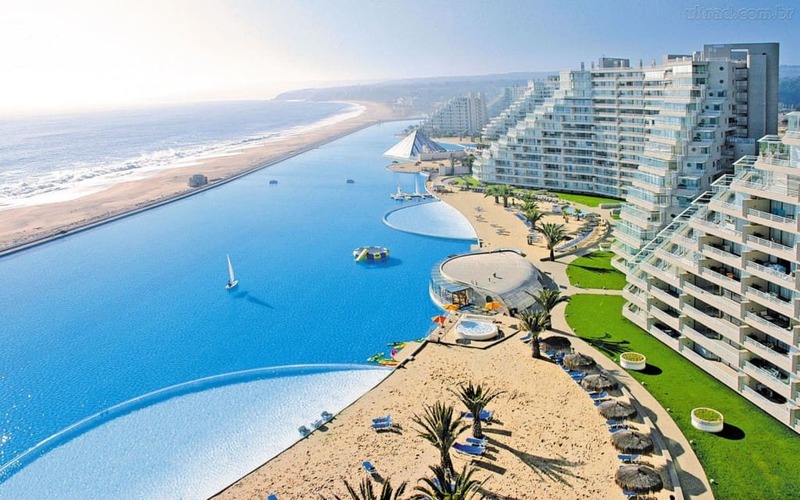 Officially recognized as the largest swimming pool in the world, the facility at the San Alfonso del Mar resort opened in 2006 and contains 250 million liters of water over a length of 3,323 feet. Water from the pool is taken from the ocean and filtered before being pumped into the huge structure. Costing a staggering $1.5 billion to build and $4 million a year simply to maintain the pool and filtering system, it is also one of the most expensive ever built. 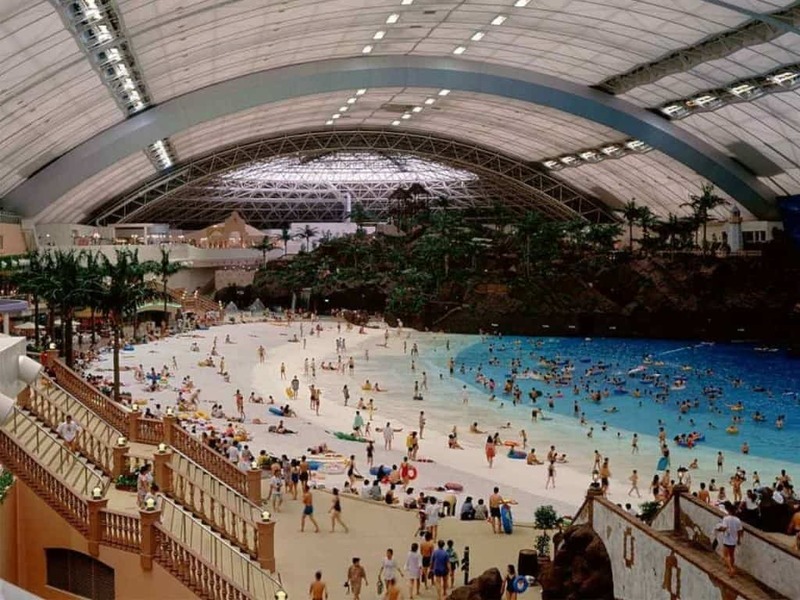 Part of a larger holiday resort, the Seagaia Ocean Dome was a huge indoor waterpark that held the record for being the largest of its type anywhere in the world. It measured almost 1,000 feet in length and 300 feet in width and even featured a retractable roof as well as a simulated beach. Although it attracted around 1.25 million guests a year at its peak, it closed in 2007 for refurbishment and has never reopened.